Membee’s Directory widget is full of features that are specifically designed to promote and increase your member’s exposure and visibility. Whether your website visitors are searching for members with specific skills or certain services, or even a private member directory to promote industry partners and suppliers, your members are always looking for more exposure opportunities. Membee provides a unique way for you to promote your members. 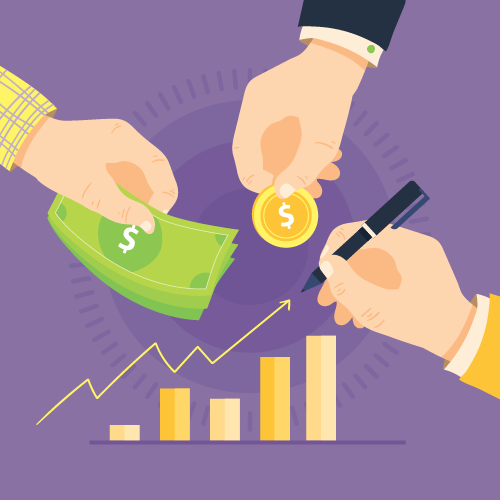 If a major member benefit in your organization is the directory exposure, then you might have your hands on an additional revenue stream! Selling the advanced listing options can be done in your new member sign-up widget, your e-billing widget, or even through a specialized hidden store. The Cherokee Chamber of Commerce does a great job at providing the opportunity for members to upgrade their listings through their new member sign-up form. 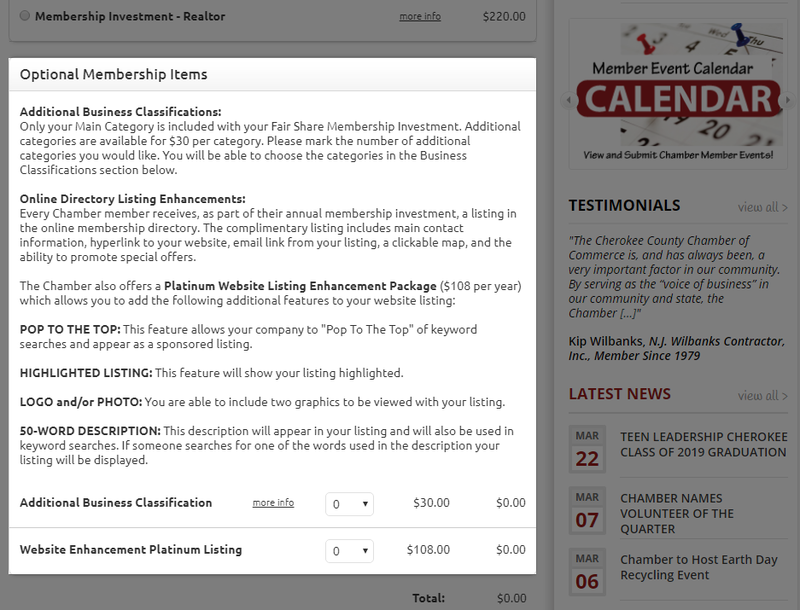 On the new member sign-up form for business members, the Chamber sells the additional listings for $30 per category, but they have also created a platinum website listing package for $108/year – both are optional additional items in the new member sign-up form. In Membee, you can create unlimited directories of any kind! Within the directories, your members can also have unlimited listings. Commonly, the best practice is to include a free listing as a general membership benefit. You can promote the opportunity for your members to purchase additional listings to increase their exposure by adding it in onto your E-Billing widget as an additional item, as seen in the image below. The “featured” listing delegation can be advantageous to members where the directory may return a large number of members in a category or in a common search term. Selling this feature to members can make their listing stand out with a customized icon (eg. gold star), customized pin colour, and customized text (eg. “featured”), all of which increases their visibility. The ability for members to have a featured listing should be treated with a greater level of exclusivity. If every member returned in the directory as “featured,” it would take away the advantage for members to stand out! Sponsored Listings can be highly appealing to members who are looking to “pop to the top” of keyword specific search results, highlighting and separating their listings from their competitors. 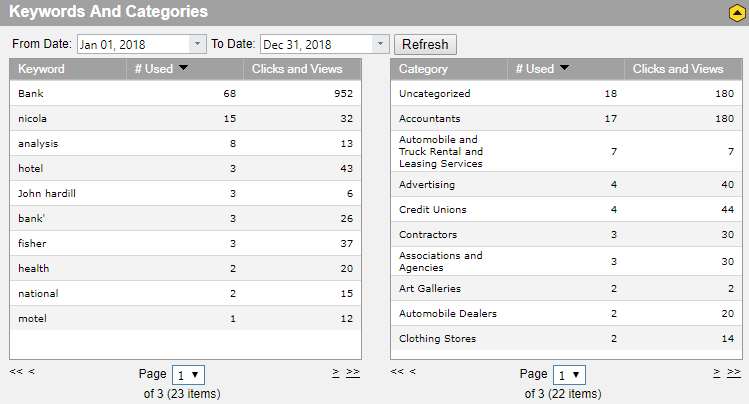 A sponsored listing will appear with a red star beside their name, appear at the very top of the search results before all other results, and has its own distinct pin colour that can be customized in the directory widget. 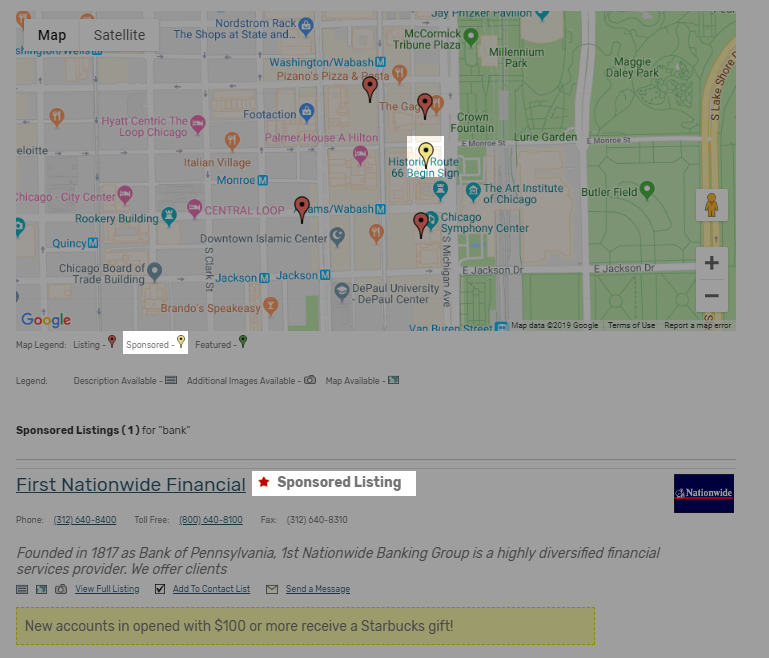 For example, if a visitor searched for “bank,” a sponsored listing for that keyword will appear at the very top of the search results. It’s easy and simple to find out which keywords are the most searched for in your directory. To start, taking a look at the directory in Membee, you can see the most popular keywords. In the example below, “bank” was the most searched keyword. You can contact one or two members and sell the keyword “bank” to them at an annual cost. Adding the sponsored listing as a future billing item will allow it to renew automatically to maintain their specialized listing.